So we got a respectable 15 this week. There's some sort of RPG group that usually happens on a Monday but they were between campaigns or something so we had a couple of newcomers from there. I managed to haul my Kingdom Builder big box down along with Trains, which I was borrowing from a friend. We split into three groups. 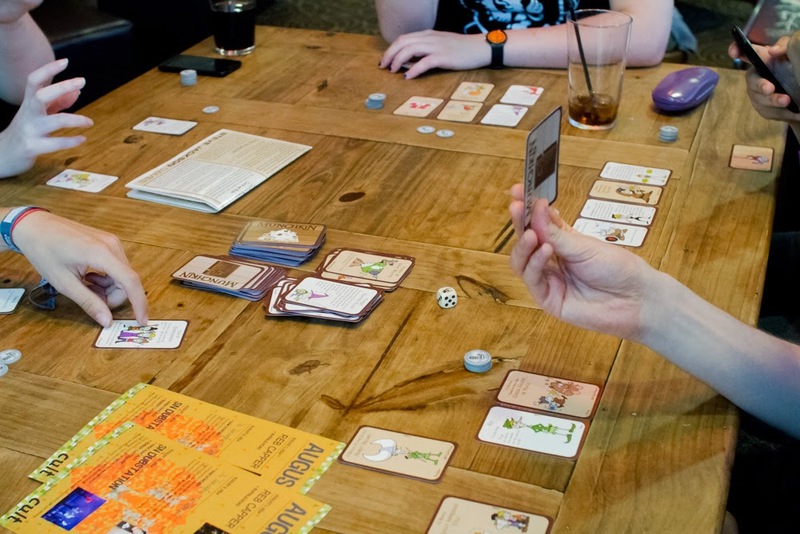 One played Munchkin. I hear it turned into a bit of an RPG and never really finished. I've never played Munchkin or an RPG so I don't really know what this means. I can only assume the newcomers were trying to assimilate us and they seemed to be doing a pretty good job at it. After they released the board gamers from their clutches they got in a game of For Sale. I started off with Trains. I thought I had this game in the bag but I didn't realise how close Steve was to using all his stations and ending the game. I went into whatever the Trains version of duchy panic time is and started buying the low value victory point cards. Still, it was too late and Steve beat me by a single point, winning the game. The others played Small World which Sam won. After that they played Level 7 [Omega Protocol]. 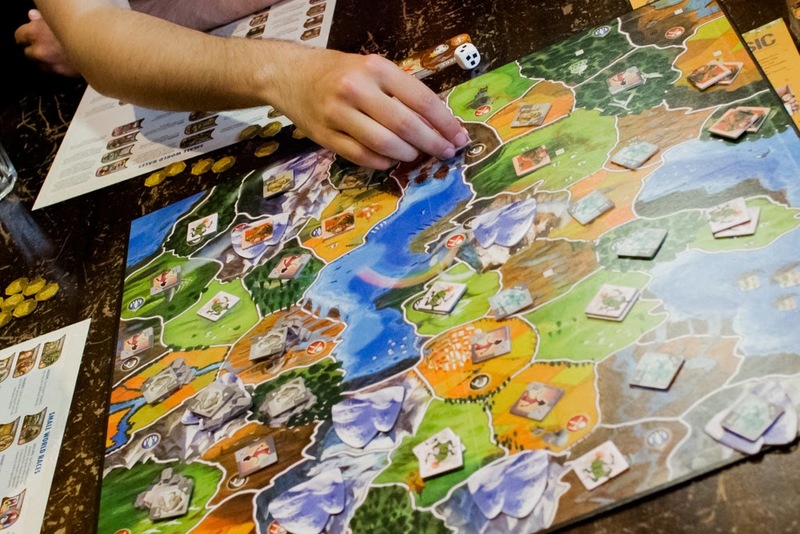 We played Kingdom Builder. Again just the base game, I've still not had time to read the expansion rules and in all honesty I'm not in a big rush to, the base game has plenty of game left in it yet. Steve somehow manged to obtain about five chits giving him way too many special moves for anyone else to compete with. He wiped the floor with us for a double whammy of a win. We played a second game and things were much more balanced. And by much more balanced I mean I won. I think it's worth noting that Dan did incredibly badly and scored less than half what I got. Sorry Dan.